Hear The Penny Loafers' Slick And Masterful Cover Of JT's "Cry Me A River"
Never underestimate the power of well-placed harmonies. That and one unbelievable arrangement. 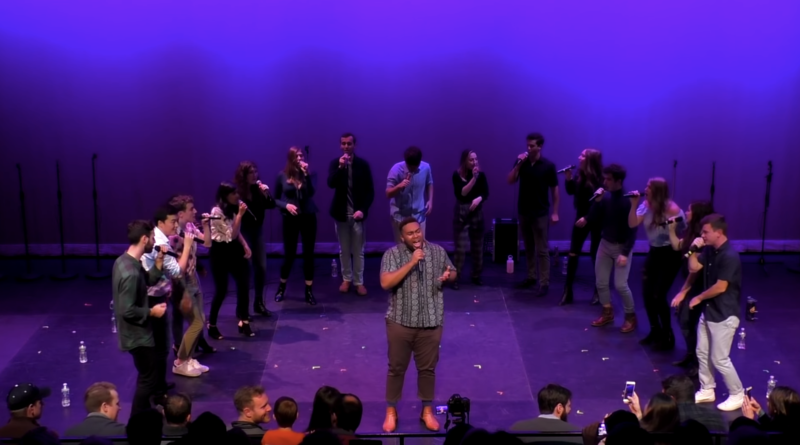 We are treated to both with this recently released cover video of Justin Timberlake's "Cry Me A River" by UPenn's Penny Loafers. Stylistically, we're awestruck by everything taking place in this live video performance. For starters, the group has put their own personal stamp on one of a cappella's most covered songs, and frankly, it is quite possibly the best to be released in recent memory. The Penny Loafers from the very beginning of the song's intro have taken the 2002 Pop hit and completely turned it on its head. From the ethereal tone that's created by the vocal band's backing group, the song's feel is incredibly heavier and darker, overwhelming and mystifying the senses. It's as if we're seeing what the future of Pop music could potentially be. The Penny Loafers showcase a silky smooth blend as each part works perfectly in tandem, synchronizing on every beat, chord and harmony. And can we just talk about these harmonies for one second? We are utterly transfixed on the placement of them, as they bring such a unique dynamic to the song, especially the ones heard in the higher voices. All the credit goes to arranger Brian McGrath. Props are also in order for lead singer Julius Barriteau. He brings such a fresh take on what is often an overdone lead performance with his subtlety and the timbre of his voice. Barriteau's vocal range and warmth work wonderfully well together to make the song an absolute thriller as he meticulously delivers show-stopping runs and falsetto during the song's biggest moments, while still keeping you hooked through each verse. This is a truly nuanced performance that highlights absolutely everything we love about vocal music.